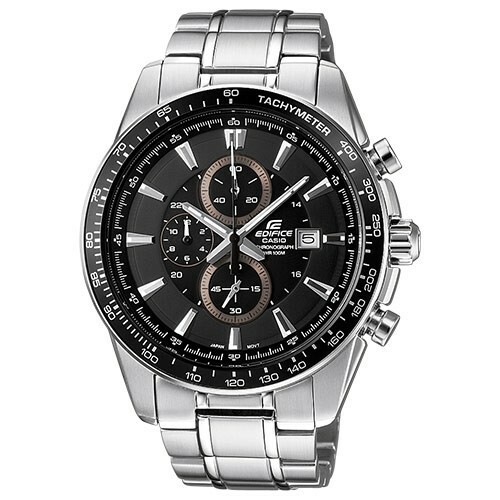 Quick Overview : Casio EFR-539 (Black) is a perfect fashion accessory for men. You can also wear this watch for any sports activity. 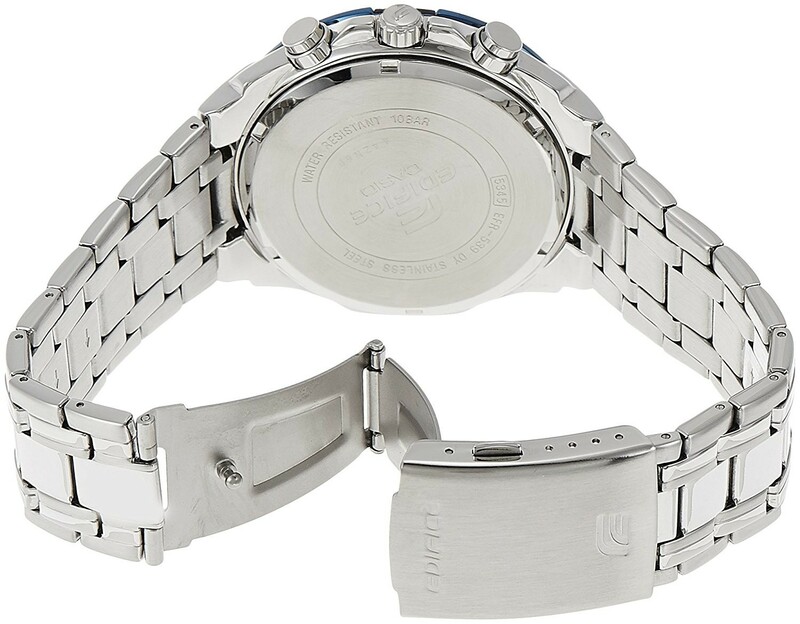 This watch will prove to be very persistent and long-lasting as it is supported with a stainless steel strap. A fine protection from internal damage. 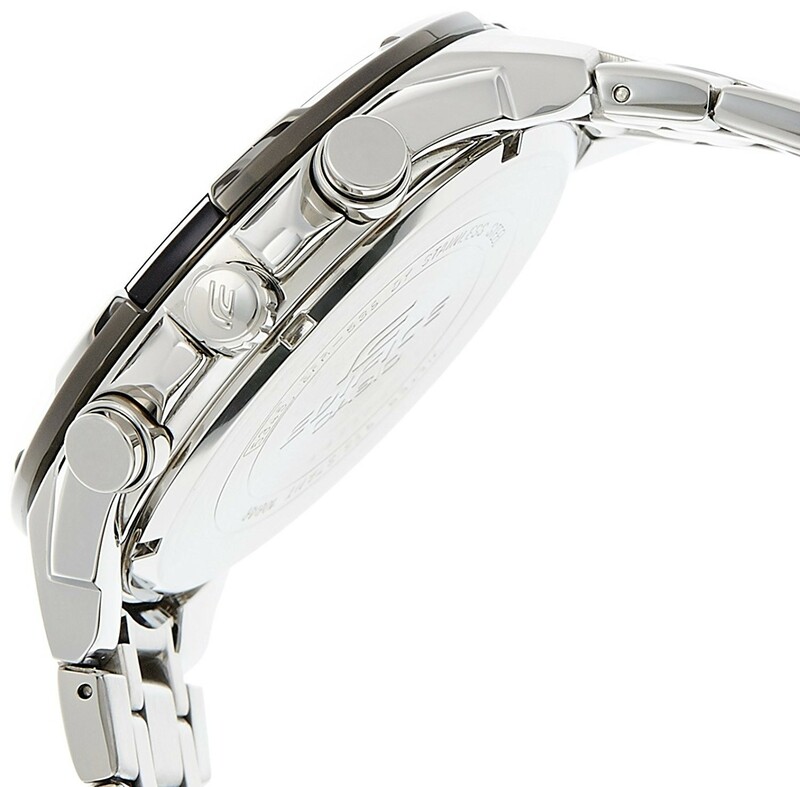 The analog display of the watch features 2 sub-dials. Casio Edifice EFR 539 Watches. Superior Quality Large Collection. Premium Quality Watches. Adjustable Stainless Steel Black Dial and Sliver-strap. Scratch Free Glasses. Radiant hue. Trendy Stainless steel strap Watch starring mineral glass dial. Disclaimer: Product color may slightly vary due to photographic lighting sources or your monitor settings. Shopsyour Guarantee: Shop with confidence as all payments are 100% secure.